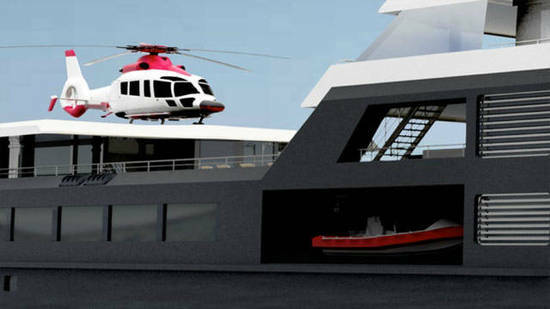 The entrance reminds you of the Bat cave, thanks to a futuristic entrance with a helicopter hangar that features a hydraulic lift to enter and is equipped with a re-fueling system as well. 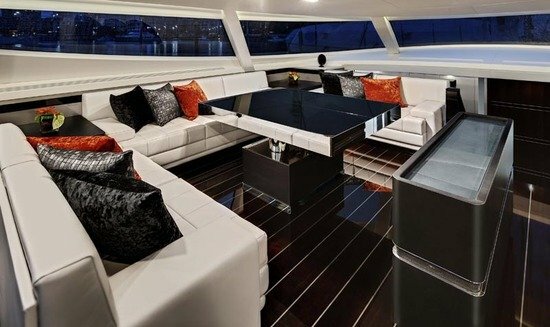 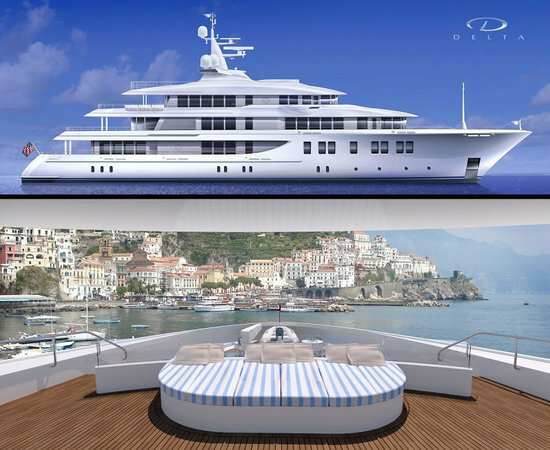 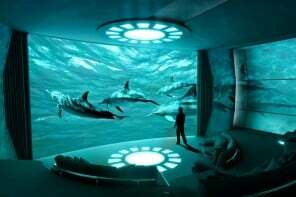 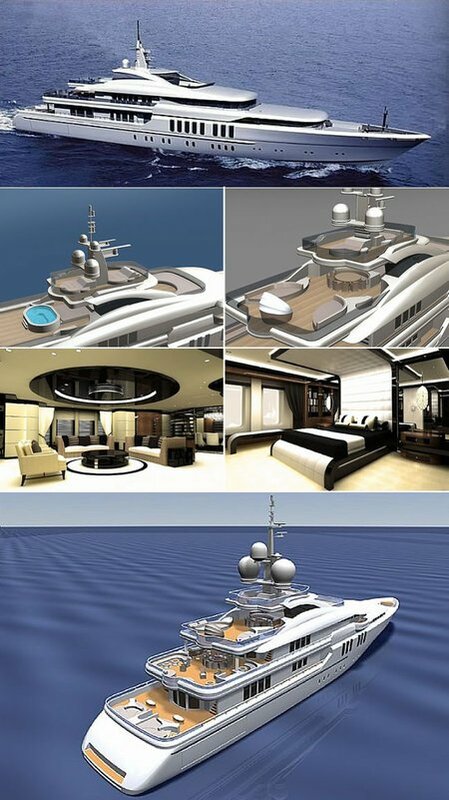 The yacht is well though trough and can sail in any waters and comes equipped with water cannons and thermal imagery systems to protect against pirates. 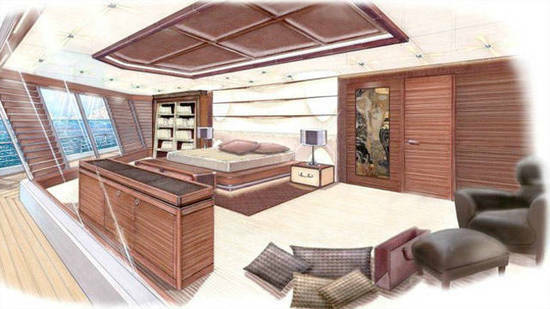 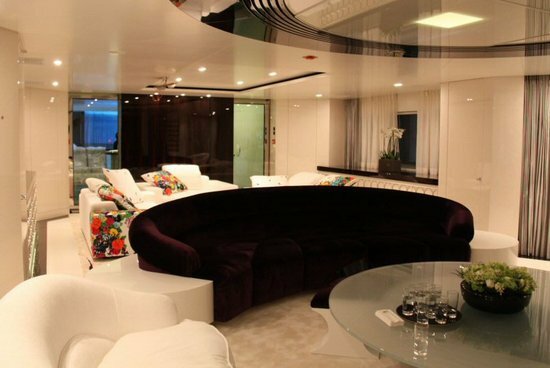 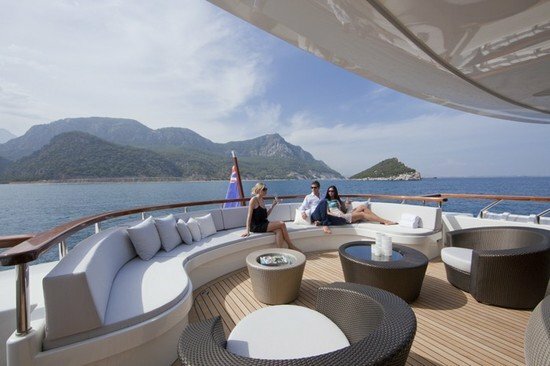 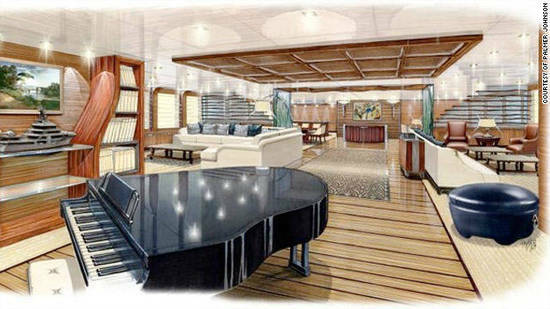 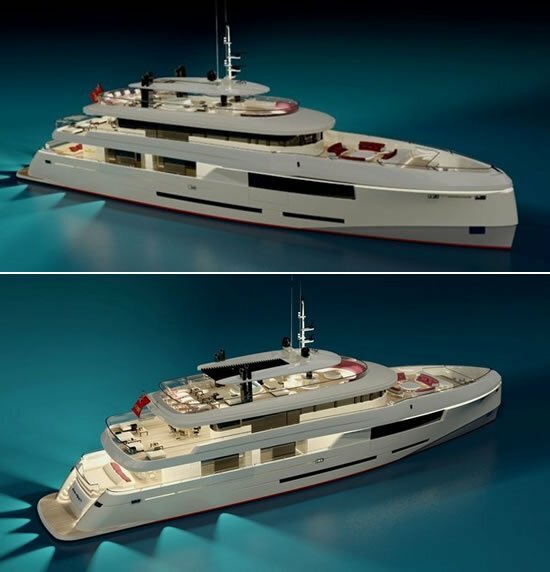 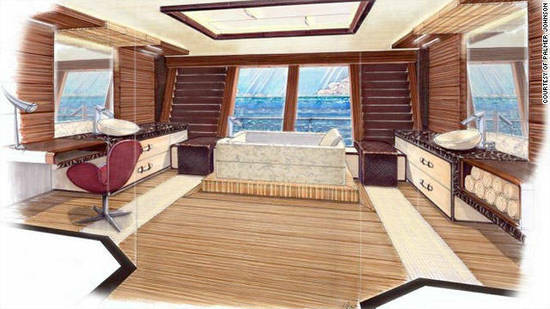 The “as green as possible” yacht aims to incorporate a mega mansion on water, in-house offices setup, complete with “the latest in satellite technology”, a children’s classroom, the owner’s apartment spanning over 3 decks with a fourth for guests and a public area sporting a piano salon, a cinema, a beauty salon, a fitness center and a private swimming pool.